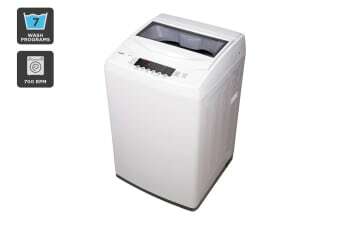 Boasting seven wash programs and a swift 700RPM spin speed, the efficient Kogan 7kg Top Load Washer takes the hassle out of doing your laundry. 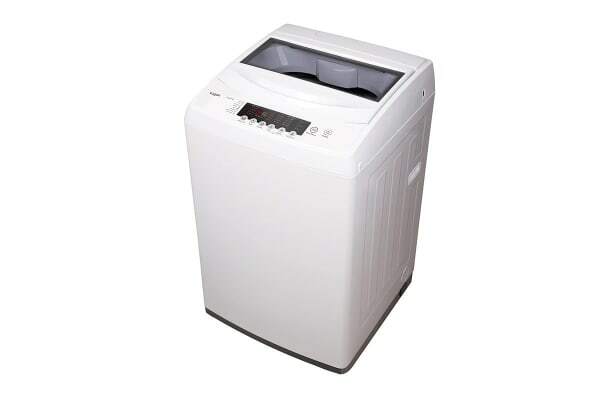 The Kogan 7kg Top Load Washer features seven automatic washing programs, with a rapid 700RPM spin speed and suave delay start feature, so all of your laundry can be freshly washed for when you get home. Plus, it has a moderate 2 Star Energy Rating and 3 Star Water Rating. 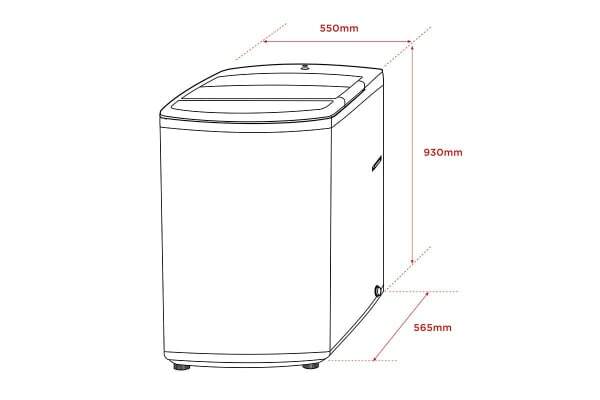 For anything from the doona to your lacy underwear, the Kogan 7kg Top Load Washer features Standard, Heavy, Blankets, Quick, Jeans, Baby Clothes and Delicates functions to cater to your every load. The child lock ensures no little fingers make any unwanted adjustments to the washing cycle, while the failure and unbalanced detection systems alert you before any violent vibrations or system failures can cause serious damage. Plus, the Kogan 7kg Top Loader has a durable exterior and stainless steel inner drum that are made to last, delivering outstanding performance for years to come. Get your chores done on your schedule, with the ability to delay-start the cycle for when it best suits you.